Christopher Columbus didn't call papaya the "fruit of the angels" for nothing. The fruit's taste is similar to that of a mango, but not as tangy. Add some vanilla and crushed ice for a heavenly drink. 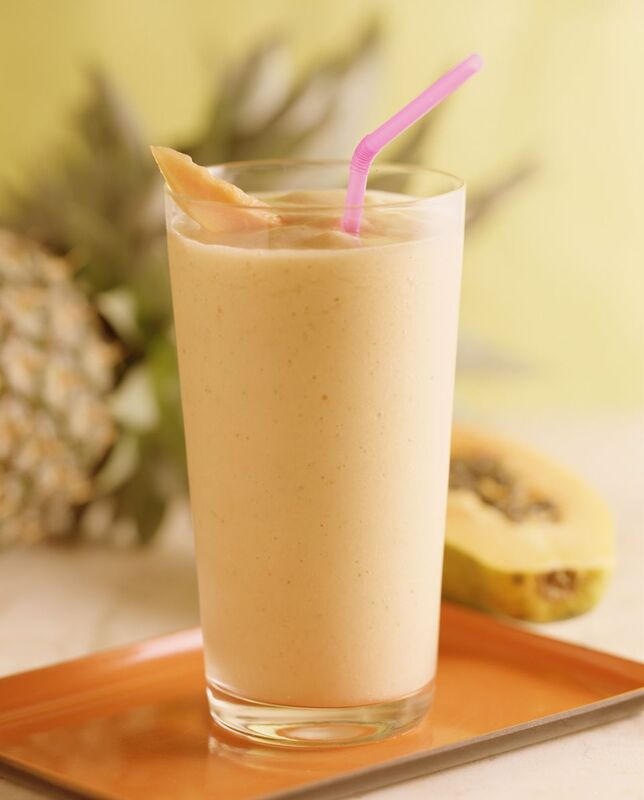 This cold papaya and milk smoothie from the Dominican Republic will help keep you nice and cool on a hot day. It's so good, you can even serve it as dessert. Peel the papaya, then cut it in half lengthwise and remove the seeds. Coarsely chop the flesh. Place the papaya chunks and everything except the lime wedges into an electric blender or food processor. Mix on high speed for 20 to 30 seconds until the mixture is smooth and thick. Pour the smoothie into tall frosted glasses. Garnish with lime wedges, and serve at once. Papayas are native to Central America, but they also thrive in Puerto Rico, Hawaii and other areas of the U.S. You can usually purchase them year-round, but they're at their best in early summer and in the fall. They can grow up to 20 inches long, but most of those you'll find for sale commercially are significantly smaller, about 7 inches. The flesh should be bright orange, but it may contain some yellow or pink depending on the papaya's degree of ripeness. Choose red/orange papayas if you'll be using them within 24 hours and refrigerate them until you're ready to fire up your blender. If they're still yellowish—even just in a few splotches here or there—they'll require a few days at room temperature to ripen sufficiently. The exact amount of time depends on how much yellow they show. Add a sliced and peeled banana to the blender or food processor for an extra touch. In fact, you can add a bit of any favorite fruit to make this smoothie uniquely your own. You don't actually have to remove the seeds before making your smoothies. They're edible and won't harm you, but they'll detract from the recipe because they have a somewhat bitter taste. Getting rid of them is worth the extra work.